Having recently reviewed the latest excellent release from iASO Records (Puerto Plata’s “Casita de Campo”) I was eager to delve deeper into the output of this relatively new label who have a particular specialisation in music from the Dominican Republic. "this exciting compilation ... is 100% sugar cane alcohol - raw, but very potent." 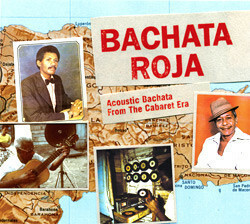 The name of the CD, “Bachata Roja” (Red Bachata), is an allusion to Juan Luis Guerra’s 1991 multi-million selling album “Bachata Rosa” (Pink Bachata), but is a world away from Guerra’s saccharine (albeit much-loved) recording, which shares little in common with real bachata music. If Guerra’s is a frothy cocktail of love bubbles, then this exciting compilation of old 45s and LP tracks from 1962-1990 is 100% sugar cane alcohol - raw, but very potent. 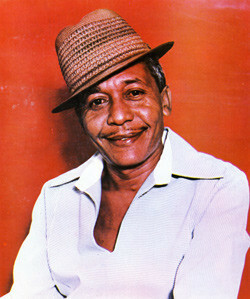 Bachata music is a genre particular to the Dominican Republic. 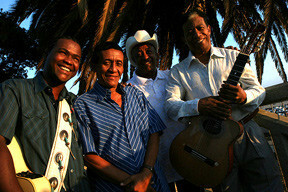 Originally performed primarily on guitars and voices, it is a music of “el pueblo”, the mass of poor, rural dominicanos, and (like so many iconic latin american styles) was shunned for years by the middle and upper classes and those with power over radio, television and the best recording studios and concert venues, especially during the 1970s & 80s. "The bachateros spoke of bars and brothels, heavy drinking, fights, loose women, tough men and those staples, love and loss." Its roots lie in the 1950s when country folk listened to home-made music played on guitars and sung at gatherings in the backyard with food, drink and dancing. ‘Bachata’ actually means an informal party and didn’t come to refer to the music until the 70s, by which time it was usually meant pejoratively. This original “musica de guitarra” was made up of the popular country music of the wider latin caribbean: sones, guajiras and guarachas from Cuba, musica jíbara from Puerto Rico, rancheros from Mexico and the Cuban-born but pan-latin sound of bolero were all to be heard rolling out over the fields. But during the 70s mass migration from the countryside, led to the introduction of the music into the working class life of the cities. The bolero remained the most popular rhythmic format (although acoustic guitar merengues were always played alongside) but the lyrics began to change to reflect the new surroundings and the break-up of traditional life. "Bachata: music that spoke directly to those at the hard edge of life. " The bachateros spoke of bars and brothels, heavy drinking, fights, loose women, tough men and those staples, love and loss. The ‘cabaret’ of the album’s subtitle refers to the dominican use of the word as a brothel. In particular bitterness and disappointment were not shunned but rather cradled, nurtured and worn as a badge of pride. 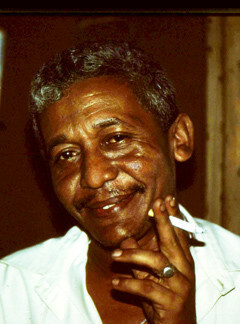 Pain is good because it lets you know you’re still alive… The language became rougher, less sweet and more street, a distinctive sabor dominicano arose: amargue (bitter). Later still, lyrics became more racy with much dominican slang and double-entendres. 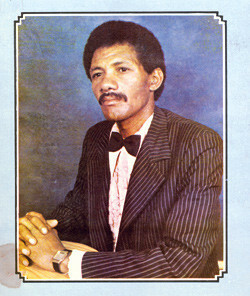 It was a music that spoke directly to those at the hard edge of life. "Pain is good because it lets you know you’re still alive…"
This ground-breaking album aims to uncover the hidden world of early bachata. 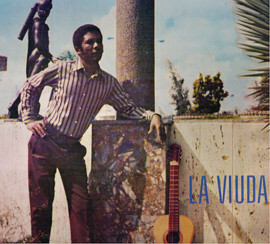 It charts its rise from a more generalised rural acoustic music (similar in overall feel to that played throughout much of latin america) right through it’s urbanisation, the fall from respectability, through to its emergence as the pre-eminent and quintessentially dominican form of expression. 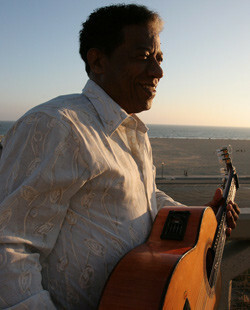 The album stops deliberately in 1990 as the new era of electric guitar bachata was beginning to take shape. Although it was released in 2007 (to critical acclaim in the USA) it has taken longer to start to permeate out into the wider world beyond. “Bachata Roja” would already be important if only because it offers an excellently curated retrospective of a hidden era of dominican music and life. 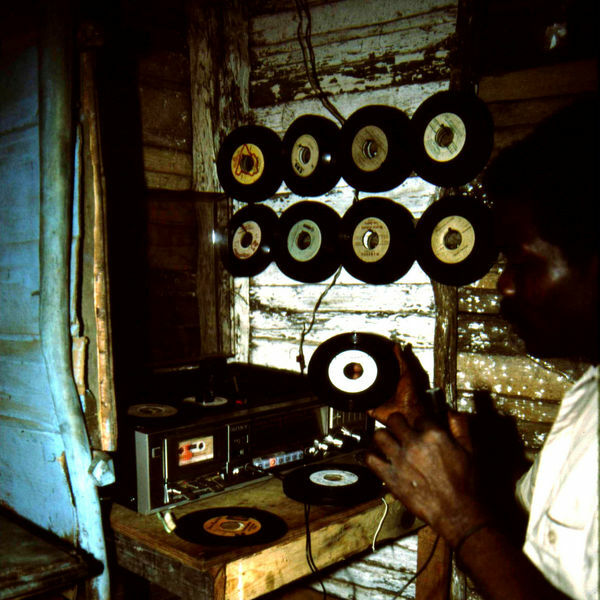 Even more important is that this music was virtually unknown outside older dominican afficionados, was in danger of being written out of the history books by people who didn’t approve of its lyrics and lifestyle, and was virtually impossible to obtain outside of vinyl collections in the Dominican Republic. "This compilation should be required listening." Now that the popularity of bachata music is at an all-time high - not just in its birthplace, and in the latin barrios of New York - but in other latin american countries and is being danced all over Europe and other parts of the globe by non-latinos (on the back of the phenomenal worldwide salsa boom of the last 15 years), this compilation should be required listening. Full marks go to the young New York producer, Benjamin de Menil of iASO Records and to his co-producer (and Dominican guitar legend) Edilio Paredes for producing this essential album. 14 tracks of hip-swinging heaven accompanied by a 16-page booklet in both Spanish and English. What’s even more impressive is the quantity and - more importantly - the quality of the support material on iASO’s website (www.iasorecords.com). For people like me who really like to know about not just the music itself but the background and context as well, then the plethora of well-researched, in-depth, clearly written essays on all aspects of dominican music to be found on it are a joy to discover and read. Props definitely going out to David C Wayne, their main contributor (and the album’s co-producer), and others. It’s worth the effort trying to navigate around the site to find out just what’s hidden in there. 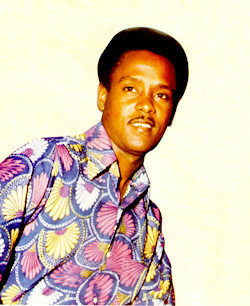 Final word: a number of the ‘old-time’ artists who were responsible for shaping the history of bachata music are still alive and playing right now (in particular Edilio Paredes) and it’s to be hoped that plans are imminent to introduce these Bachata Roja Legends to an audience outside of DR and North America . . . maybe I shouldn’t say the words, but I’ll whisper them instead: ” Buena Vista Soc…” (you get the idea).